You asked for it we made it happen. 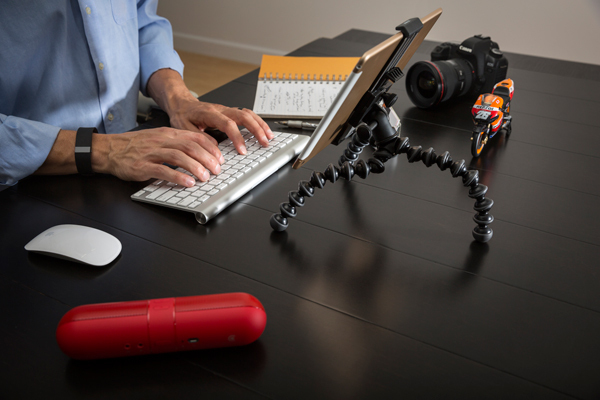 Last year, in the late spring of 2015 we launched the GripTight Mount for Smaller Tablets. But we soon realized that not all tablets are created equal and not everyone is streaming Hulu or Netflix at all times! Our community rallied and there was an outcry for a robust GripTight Mount that would securely hold a tablet in landscape; without having to hang it sideways. 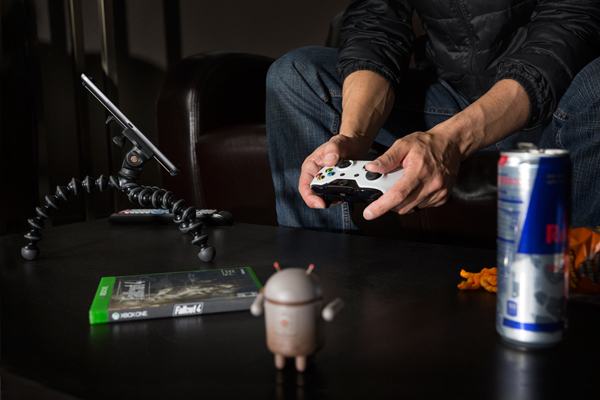 So, for you, we created the GripTight PRO Tablet. Like the earlier GripTight Mount for Smaller Tablets, the GripTight PRO Tablet quickly and securely holds your device for ease of use. But now we’ve added over-molded stainless steel plates that slide & lock securely in either portrait or landscape mode. It makes setup a breeze; whether you read from your Kindle Fire, play games on your iPad Air or look up DIY YouTube videos on your Nexus 9, you can quickly switch back and forth from portrait to landscape without having to remove your tablet. 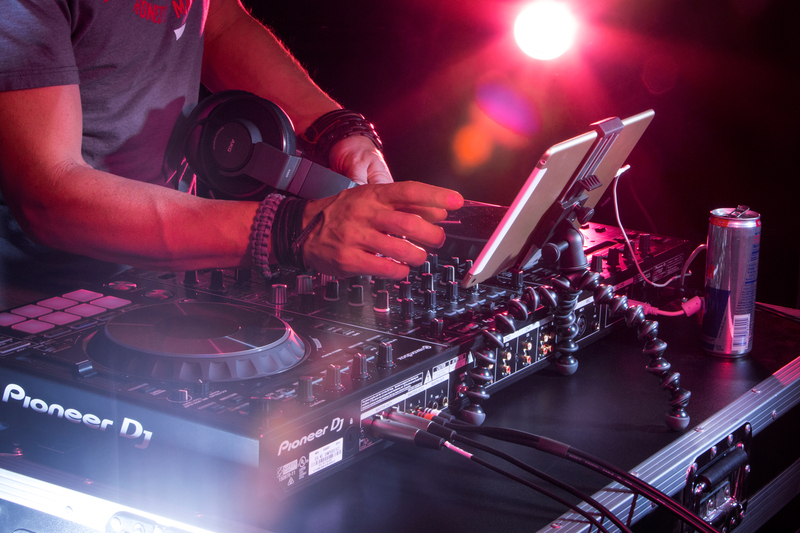 Give your tablet a lift and you’ll do more than you ever imagined. 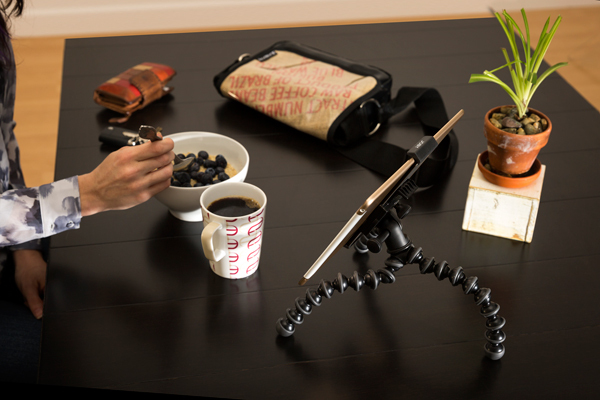 The GripTight GorillaPod PRO Tablet combines our new GripTight PRO Tablet Mount with our world famous flexible GorillaPod tripod to create the ultimate tablet stand. Hang your tablet from the backseat of a car, set up a mobile workstation or simply chat with a friend hands-free on Facetime; you’ll be amazed at what your tablet can do. You wanted a versatile GripTight Mount that could transition seamlessly from portrait to landscape, and that would fit any phone – from an iPhone 5 to an iPhone 6 Plus, Motorola to Samsung or even for your phablet, with or without a case. We listened and our team created the new GripTight PRO to be a rugged mount that will give you professional results for your mobile photography or videography! 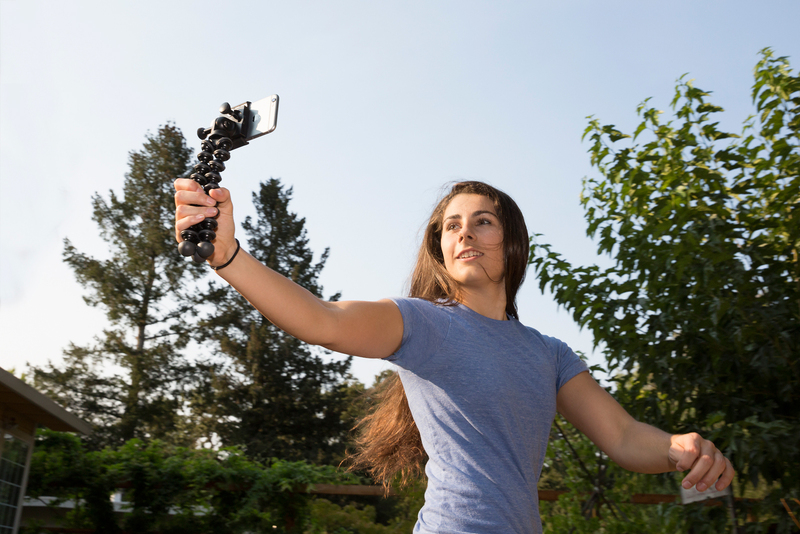 GripTight Mount PRO – Portrait or Landscape. You Decide. 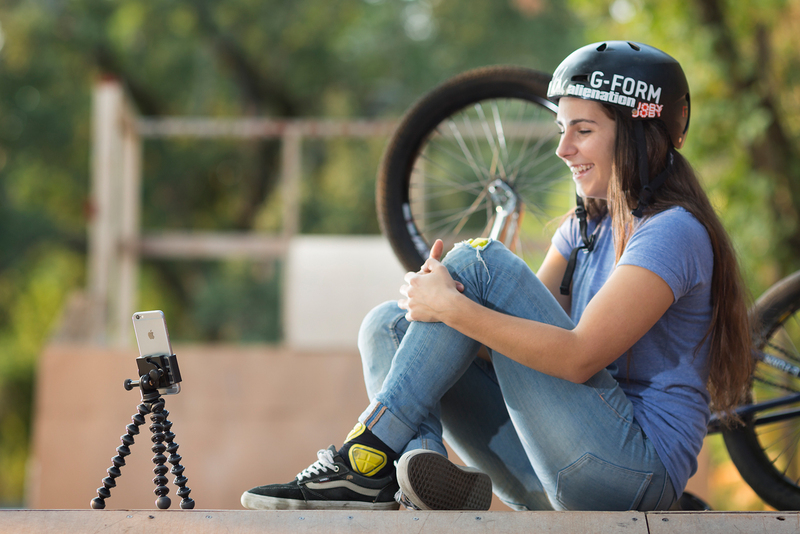 The GripTight Mount PRO works with any best-selling phone with or without a case. We believe that you shouldn’t be limited in where you place your phone for the next killer shot, so the GripTight Mount PRO is compatible with any item equipped with a 1/4″-20 mount, including our GorillaPod Line and Action Series Accessories. This upgraded GripTight is super rugged, compact, and versatile, with 90° rotation and 150° tilt – it makes getting the perfect shot easy! 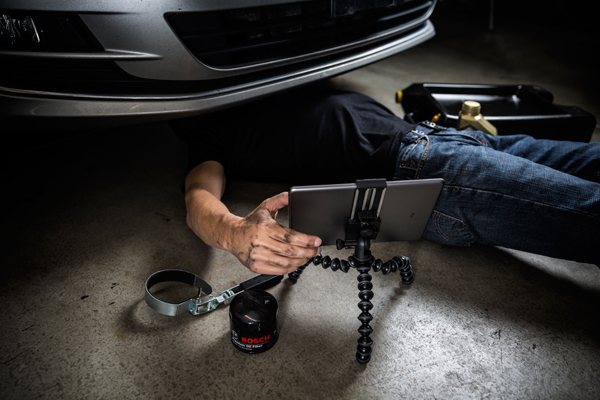 Everyone’s favorite tripod is transformed into an unstoppable force of mobile photo and video production when paired with the GripTight PRO. 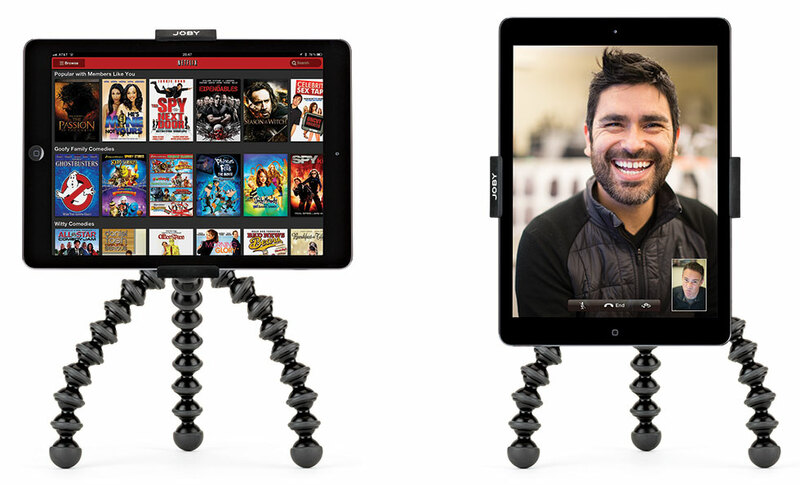 Position your phone just about anywhere and in any orientation to capture an epic selfie OR grab shake free video for FaceTime, Periscope, YouTube, or your vlog! 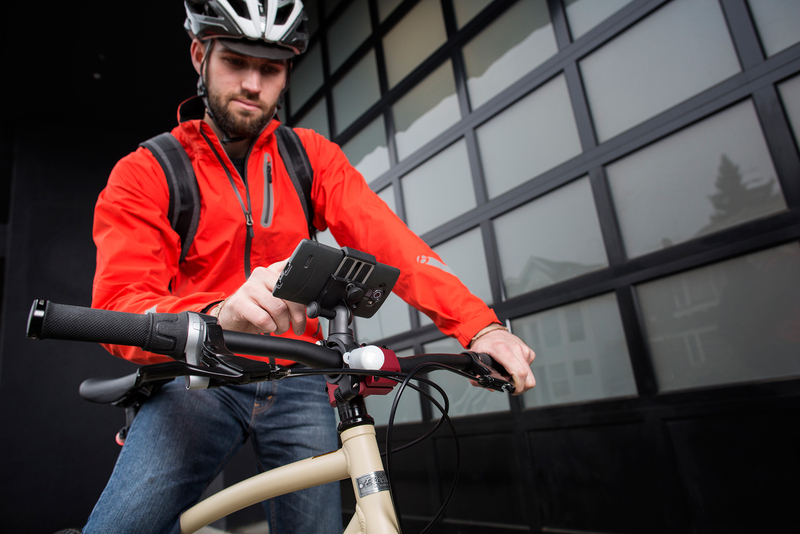 GripTight Bike Mount PRO – Mount any phone, with or without a case, to your bike’s handlebars with this lockable secure solution! The GripTight Bike Mount PRO makes a solid, secure platform to use your favorite biking apps, from Strava to Spotify, your phone is now at your fingertips. This rugged, versatile mobile mount will fit most handlebars and rails with included spacers, and provides an extra mounting point for your lights, Garmin, or bike computer! 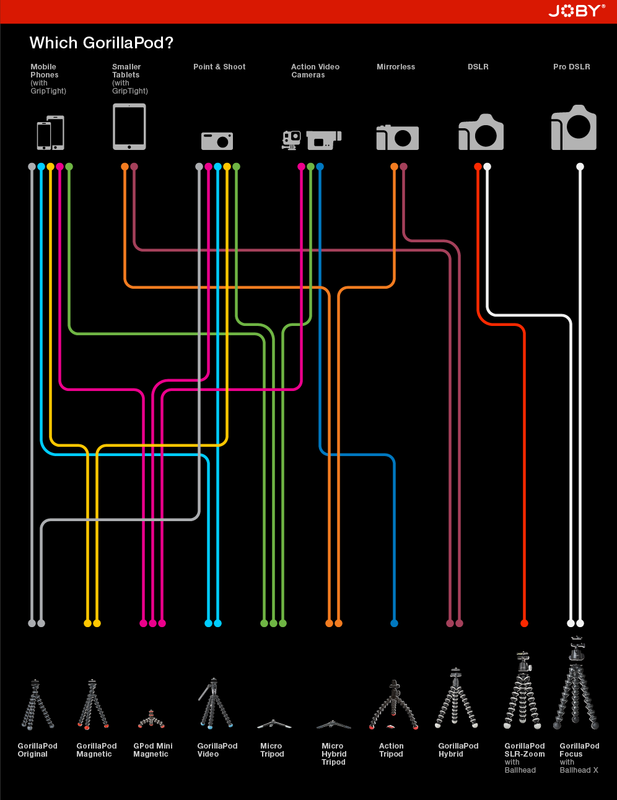 Wondering just which GorillaPod is perfect for you and your gear? We made it easy – just follow the colored lines. Don’t forget to enter our Win Your Wish List sweepstakes! 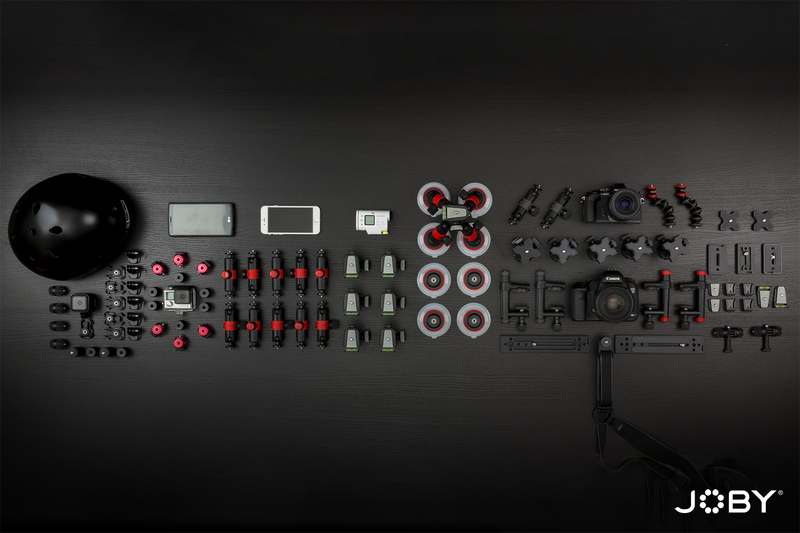 There’s still time to make your JOBY.com wish list a reality! Contest ends November 25th, 2015. Win Your JOBY.com Wish List! We want you to be able to capture the action from any angle and any location; so we’re giving 3 lucky fans the chance to win the items in their wish lists up to $350 USD! Update or start your wishlist by Monday, November 9th, on JOBY.com and you will be automatically entered to win. To add a product to your wishlist, simply sign up for a JOBY.com account, or login to your existing account. As you shop select the “Add to Wishlist” option on the product page (under the “Add to Cart” option) to start compiling your dream haul! What will you build?! Get Started – Login or Create Account – and Good Luck! No Purchase Necessary to Enter or Win. Internet access is required to enter. Open internationally, but void where prohibited. Sweepstakes starts on Monday, November 9th at 9:01 am PST and ends on November 25th at 11:59 pm PST. Complete Official Rules available here.